In June, Japan’s Prime Minister Shinzo Abe said he wanted to treble the market for robots in Japan to $22 billion by 2020. Last month, the government launched a “robot revolution realization council” to craft a five-year blueprint to beef up the industry. Deregulation and strategic funding are at the heart of Japan’s and Abe’s 5-year growth plan and their New Energy and Industrial Technology Development Organization (NEDO). In one example described on CNBC, the team testing a brain surgery robot, had to shut down because of over regulation. They watched as the da Vinci surgical system became a commercial success while their and other Japanese prototypes languished in laboratories. But now the new NEDO has recruited Kawasaki and Panasonic to make a rival to the da Vinci that could perform more intricate tasks including brain surgery. The new surgical robot thrust is a $42 million part of the overall $138 million framework. Part of that framework is regulatory reforms so that new robotic surgical devices will have an easier time with regulators and meet their goal of having rival products in clinical trials by 2019. The Japanese government estimates the market for care service robots will reach $3.7 billion by 2035 from just $155 million today, and is encouraging products from Japanese companies to service those needs. They have also issued the world’s first safety standard for personal care robots to aid large corporations in their pursuit of the care marketplace. Panasonic, Yaskawa, Toyota, Cyberdyne and other Japanese companies have all announced care product plans over the next few years. Cyberdyne’s HAL exoskeleton suit received approval from the new safety board earlier this year. Other countries are also pushing robotics to the forefront of industrial policy: China, where sales grew 32-fold over the last decade to eclipse Japan as the biggest robot market in 2013, aims to make one-third of its own robots by 2015. 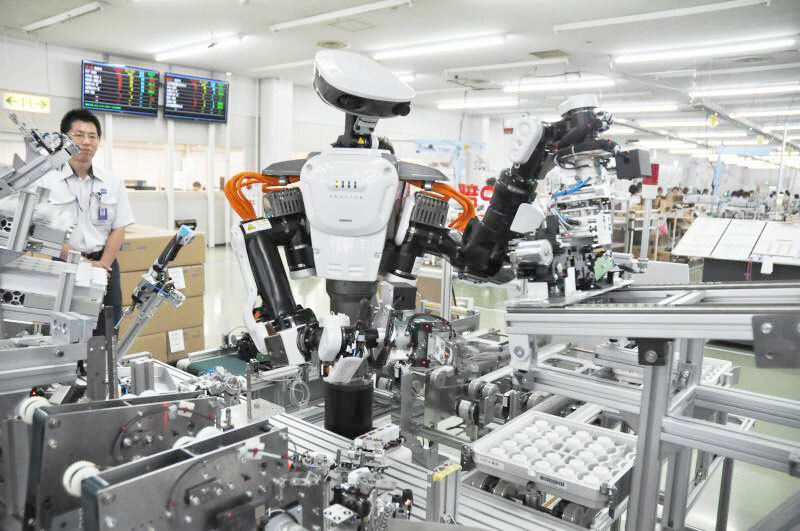 South Korea has a five-year plan to spend $500 million a year on its robotics industry, while the European Union has earmarked $125 million a year to its Horizon 2020 program that aims to pull in a further 2 billion euros in private funding.